Homesteading is a lifestyle of self-sufficiency. It is characterized by subsistence agriculture, home preservation of food, and may also involve the small scale production of textiles, clothing, and craftwork for household use or sale. 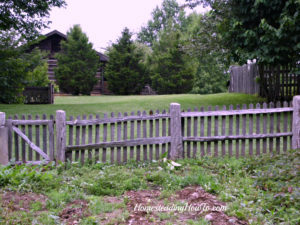 Pursued in different ways around the world—and in different historical eras—homesteading is generally differentiated from rural village or commune living by isolation (either socially or physically) of the homestead. Use of the term in the United States dates back to the Homestead Act (1862) and before. We hope that the information here will inspire and guide you in establishing your homestead. In creating that special place we want to call home we want to help you by providing tips and tricks along the way. We will also provide useful information to help you find your property, understand and know the codes and regulations that you may run into, also provide tips for making a passive income to help you pay for it, and best of all growing your own food. For the past two years my wife and I have been planning our homestead on the land we purchased in the mountains of middle Tennessee. My blog tells you each step of the way and the various obstacles we had to overcome. If we can do it, so can you! While you are here be sure to visit our new Homesteading Store. We have many new Homesteading Products for your cabin, shed, or Tiny House. Feel free to make a purchase or ask any questions about any of our products.. All profits through the Homestead Store or our Affiliate Links helps us pay for the Blog Hosting and helps us with items for our future homestead. 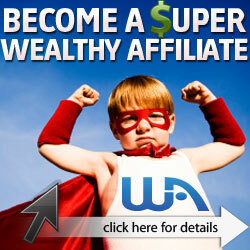 Our Site is a Member of the Amazon Affiliates Program. Our Association gives us the opportunity to earn a commission from each Sale through Amazon on our site. Any Commission earned doesn’t cost you any extra when you make a purchase through our website. Be sure to visit TreeTribe and WOWE in our Affiliate links below. They are great Eco-Friendly companies who will plant Trees for EVERY Sale. Click on the Images below to browse and make a purchase. Of Course, we receive a Commission on every sale which helps to promote our blog and work on our Homestead. Homesteadinghowto 2019 Copyright Policy : Unauthorized use and/or duplication of this material without express and written permission from this site’s author and/or owner is strictly prohibited. Excerpts and links may be used, provided that full and clear credit is given the author with appropriate and specific direction to the original content.